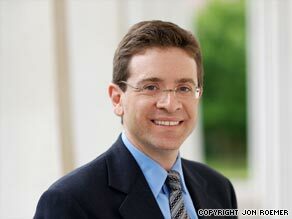 Julian Zelizer says conservatism has proved far stronger than some Democrats expected. PRINCETON, New Jersey (CNN) -- As the White House and Senate Democrats move toward Sen. Max Baucus' compromise on health care, there is a growing sense among Democrats that the political power of conservatism remains much stronger than some observers believed after Barack Obama's victory in November 2008. The White House has sent strong signals that the president is willing to abandon key components of the legislation that liberals have demanded, such as the public option, and to work with Baucus, whose proposal is far less ambitious than what other Democrats, including the president, have been pushing for. With Republicans lined up against the administration, centrist Democrats insisting on big reductions in the scale of the program and public support for Democratic health care proposals having fallen, some of the president's top advisers have concluded that now is the time to settle for what they can get rather than walk away with nothing. The struggles with health care came as a surprise to some Democrats who felt that after the 2008 election, the era of conservatism had ended. President George W. Bush finished his presidency with historically low approval ratings. Democrats had won control of Congress and the White House, with a presidential candidate who did not shy away from liberal causes such as the need to pass comprehensive health care reform. Conservatives seemed intensely divided, and it was -- and remains -- unclear who the next generation of GOP leaders will be. One BBC story at the time pronounced, "The Reagan era is finally, comprehensively, over." President Obama never bought the argument, and when asked whether the conservative revolution was over, he was skeptical. In one interview, Obama argued: "What Reagan ushered in was a skepticism toward government solutions to every problem, a suspicion of command-and-control, top-down social engineering. I don't think that has changed. I think that's a lasting legacy of the Reagan era and the conservative movement, starting with Goldwater. But I do think [what we're seeing] is an end to the knee-jerk reaction toward the New Deal and big government." So what accounts for the persistence of conservatism even after the severe problems it encountered by the end of the Bush presidency? The first reason is that conservatism taps into a basic anti-government ideology that has existed in the nation's political culture since the Revolution. Anti-government sentiment has ranged from opposition to federal taxation to an unwillingness to create strong centralized bureaucracies. When the United States has created government programs, they have often relied on decentralized administration, minimal levels of funding and even private organizations to administer benefits. The second reason that conservatism has survived the defeat at the polls in 2008 is that since its emergence in the 1970s, the conservative movement has focused on building a strong organizational infrastructure that could outlast any specific president or congressional majority. Conservatives created new think tanks and expanded existing ones. They developed a vibrant network of grass-roots organizations that could quickly mobilize voters through tactics like direct mail. Conservatives established media outlets, starting with magazines and talk radio and extending into network television. During the 1990s, the right strengthened its ties to Washington-based interest groups that were able to exert pressure inside the Beltway and mount "Astroturf" operations back in the districts. When conservatives have mobilized this summer in opposition to health care reform, they have been supported by this formidable infrastructure, most of which remains in place. And, finally, the reality is that in American politics, institutions, policies and public opinion are always hard to change, regardless of whether a liberal or conservative is in the White House. Despite the conventional wisdom, presidential and congressional elections rarely result in the kinds of dramatic changes that pundits predict and politicians promise. Conservatives like Ronald Reagan learned this after the 1980 election when many popular programs like Social Security proved impossible to retrench. Liberals are quickly finding that following several decades of deregulation and tax cutting, it is difficult to find public support for passing major new programs. Democrats have also fueled conservative passions since attempting to move forward with health care reform, which is historically one of the most explosive issues that any president can tackle. As the president of the Southern Baptist Convention's Ethics and Religious Liberty Committee told The Washington Post, "Nancy Pelosi and Harry Reid and Henry Waxman have done more to energize Christian conservatives than any conservative leader could have done with this health care package. I, who never believed that we were dead, did not believe that it would happen this quickly." Even though conservatism might be in a state of crisis, the reports of its death were greatly exaggerated. This summer, conservatives have been able to demonstrate the kind of damage that they can inflict on a once enormously popular president in the most difficult of economic times. Many Democrats now understand what Obama was talking about -- that his White House governs in an era in which the influence of conservatism remains formidable.